ClassDojo’s mission is to give teachers, parents, and students the power to create incredible classrooms. 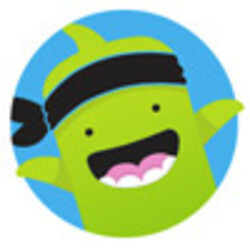 Founded in 2011 and based in San Francisco, California, ClassDojo is a classroom communication app that helps students build social-emotional skills while creating a simple way for teachers, parents, and students to share what’s happening during the school day through photos, videos, and messages. The company is one of the fastest growing education technology companies of all time, used and loved by millions of teachers, parents and students in 90% of K-8 schools in the US, and 180 other countries. The team is made up of engineers, designers and educators from around the world, with deep backgrounds in public and charter schools, as well as from Facebook, Google, Dropbox, Airbnb, Amazon, Y Combinator and more. 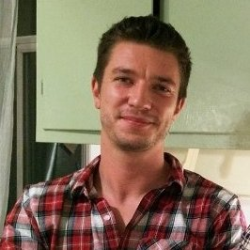 Liam earned a First-Class degree in Computer Science from Durham, after which he was one of the core game developers at Jagex, creators of Runescape. He subsequently undertook a CS PhD focused on in-classroom education technologies, which he left to build ClassDojo. Sam earned a First-Class degree in Economics from Cambridge, after which he taught high school. 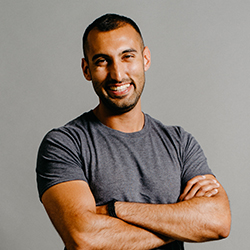 He was an education-focused business analyst at McKinsey, after which he was one of the earliest product hires at onefinestay, a high-growth, VC-backed startup in London. Teachers like it because teachers have shaped it, in the form of 20,000 who provide constant feedback. The company says ClassDojo reaches 1% of the roughly 700 million children in grades K-8 or their equivalent globally every day, or more than 10 million kids. Price says that at her school, Southern Elementary, nearly all the teachers and a healthy dose of parents use it. Six years later, ClassDojo has raised about $31 million from investors, earning a recent valuation of $100 million, Forbes estimates. Chaudhary vows to double down on ClassDojo's user focus, through ongoing in-depth consultations with teachers and parents. Every teacher wants a calm student able to handle the stresses of life, says ClassDojo product designer Chris Frank. That’s why the education-based app is expanding its Big Ideas platform and video series to include new tools for teaching mindfulness. Launching Monday and backed by research from the Yale Center for Emotional Intelligence, the new effort introduces the concept of powerful emotions via an animated video geared toward young students, giving teachers resources and language to discuss mindfulness and help students handle stress. “The challenge is ensuring that students, regardless of where their school is located, have the opportunity to benefit from mindfulness,” he says. McMoneagle envisions mindfulness taught at young ages to help with the pressures students face as they get older. Students in a first-grade classroom in Delaware practice mindfulness as part of a new curriculum rolling out in schools nationwide on Monday. (Photo: ClassDojo)Millions of school children may soon be breathing deeply, regulating their emotions and finding their inner calm. Mindfulness is coming to a school near you. Short videos and guides for home and school will be released over the next few weeks. He said the company began exploring mindfulness after reading media accounts of schools that implemented mindfulness programs and got promising results. 10 best Android learning apps 10 best language learning apps for AndroidAmazon Kindle Price: Free with in-app purchases DOWNLOAD ON GOOGLE PLAY DOWNLOAD ON GOOGLE PLAY Let's face it, reading is good. DOWNLOAD ON GOOGLE PLAY DOWNLOAD ON GOOGLE PLAYDuolingo Price: Free with in-app purchases DOWNLOAD ON GOOGLE PLAY DOWNLOAD ON GOOGLE PLAY Duolingo is one of the best learning apps for kids when it comes to learning a new language. DOWNLOAD ON GOOGLE PLAY DOWNLOAD ON GOOGLE PLAYGoogle Classroom Price: Free DOWNLOAD ON GOOGLE PLAY DOWNLOAD ON GOOGLE PLAY Google Classroom is another virtual classroom environment. DOWNLOAD ON GOOGLE PLAY DOWNLOAD ON GOOGLE PLAYYouTube Kids Price: Free / $9.99 per month DOWNLOAD ON GOOGLE PLAY DOWNLOAD ON GOOGLE PLAY YouTube Kids is a spin-off of the traditional YouTube application that is made and curated especially for kids. 10 best education apps for Android 10 best Google Daydream appsIf we missed any of the best learning apps for kids, tell us about them in the comments! 10 best Android learning apps 10 best learning apps for kidsClassDojo Price: Free DOWNLOAD ON GOOGLE PLAY DOWNLOAD ON GOOGLE PLAY ClassDojo is a virtual classroom environment. DOWNLOAD ON GOOGLE PLAY DOWNLOAD ON GOOGLE PLAYGoogle Classroom Price: Free DOWNLOAD ON GOOGLE PLAY DOWNLOAD ON GOOGLE PLAY Google Classroom is Google's venture into the virtual classroom. DOWNLOAD ON GOOGLE PLAY DOWNLOAD ON GOOGLE PLAYGoogle Drive suite Price: Free / $1.99 per month / $9.99 per month DOWNLOAD ON GOOGLE PLAY DOWNLOAD ON GOOGLE PLAY Google Drive is among the best teacher apps out there. DOWNLOAD ON GOOGLE PLAY DOWNLOAD ON GOOGLE PLAY Teacher Aide Pro is another of the more powerful teacher apps. 10 best VR apps for Google Cardboard 10 best augmented reality apps and AR apps for AndroidIf we missed any great teacher apps, let us know in the comments! We have three exciting new startups today:ClassDojo – Connecting teachers, students, and parents to the classroom. Their data pipeline is built entirely on AWS – Amazon Kinesis allows them to stream high volumes of data into Amazon Redshift for analysis and into Amazon S3 for archival. They use many AWS services including Amazon DynamoDB, Amazon EC2, Amazon S3, and AWS CloudFormation. Ravelin uses a suite of AWS services to help their machine learning algorithms detect fraud. Ravelin also uses services such as Amazon RDS, Amazon DynamoDB, Amazon ElastiCache, and Amazon Elasticsearch Service. It used to be an all too common sentiment that once deterred many prospective investors from backing some of the most promising edtech ventures conceived. The broken ecosystem of selling to schools educational software rather than the actual technology is what often consigns many edtech ventures to the dustbin. For these very reasons, edtech ventures are not only worthy of additional attention — they are deserving of investment. Unfortunately, most new edtech ventures never get that far and run out of money first. To circumvent these funding issues, some edtech ventures have built their offering on a freemium business model, offering basic features of their apps for nothing. And it was all precipitated by a short series of five-minute videos created by the education startup ClassDojo. Teachers use the free ClassDojo mobile app to communicate with students and parents and to compile student portfolios. Last year, 65% of U.S. K-8 schools had at least one teacher using ClassDojo. It’s for everyone.”Add in high schools, which make up approximately 5% of its user base, and ClassDojo is present in 90,000 U.S. schools, up from 60,000 in 2015. This ends up being the third set of relationships, around your kids,” says ClassDojo investor Hemant Taneja, managing director at General Catalyst. Since its launch in June 2011, ClassDojo has rapidly diffused throughout classrooms across the U.S. and around the world. "If we can shift what happens inside and around classrooms then you can change education at a huge scale," said ClassDojo CEO and co-founder Sam Chaudhary. Similarly with ClassDojo, teachers can download the app by themselves, without having to ask school administrators for permission or money to pay for the software. Having connected parents and teachers, five-year-old ClassDojo is now beginning to turn its attention to the next part of its journey: monetizing the service. There's no rush from investors, but ClassDojo users are eager for more content. —–Meet Jeremy Fiance, UC Berkeley’s 24-Year-Old SuperconnectorMost 24-year-olds are still figuring out how their careers will take shape. UC Berkeley has a half a million alums and a current student body of 37,000, including undergraduate and graduate students. —–DataGlobally, fintech startups raised $5.3 billion in funding in the first quarter of 2016, according to a new report from Accenture. —–New FundsGenomics company Illumina is committing $100 million to a new venture capital fund focused on early-stage companies pioneering new genomics products. Jeremy Fiance, a recent UC Berkeley graduate, knows he wants to be a venture capitalist. Some people think Snapchat has the edge right now; some think it will be gone in five years. TC: You don’t think Slack will be the next big platform, as many people seem to want it to be? And Gabe Ling, who has been both a principal and a venture partner at General Catalyst in recent years, is now a partner. I don’t think it’s going to go away. We’re living in an interesting time, but I don’t think we’ve figured out what’s coming next. Y Combinator announced that the five year partnership with Imagine K12 has taken its next step on its Posthaven blog, the original edtech accelerator, has joined Y Combinator to form an edtech vertical within YC. With this in mind, we began talking to Sam last year about more tightly integrating Imagine K12 within YC and creating a YC education vertical. Agreeing that 2016 was the right time to create YC/Imagine K12, the team decided to launch their first combined batch during summer 2016. Edtech companies in the future will use the regular Y Combinator application process (the Summer 2016 application is currently open) and will automatically become part of YC/Imagine K12 if accepted. New YC/Imagine K12 companies will have access to YC’s startup network and resources coupled with Imagine K12’s Educator Network and specialized understanding of the education market. The fund is today announcing that it has formed a specialized vertical within Y Combinator by bringing into the fold Imagine K12, an edtech-focused accelerator. Y Combinator, the popular accelerator program, has made its first acquisition of a kind. And Y Combinator now has more resources to focus on the ever-growing ed-tech market. Indeed, Ralston and Brady sought out the advice of Y Combinator cofounder Paul Graham before creating the accelerator. Applicants will be routed through the regular Y Combinator application. We are excited to announce that Imagine K12, the original edtech accelerator, is joining Y Combinator to form an edtech vertical within YC. Edtech companies in the future will use the regular Y Combinator application process (the Summer 2016 application is currently open) and will automatically become part of YC/Imagine K12 if accepted. The entire Imagine K12 team will join YC and YC/Imagine K12 will emerge as a new and potent force in edtech. With this in mind, we began talking to Sam last year about more tightly integrating Imagine K12 within YC and creating a YC education vertical. We agreed that this year was the right time to create YC/Imagine K12 and decided to launch our first combined batch in the summer of 2016. To help provide resources for teaching growth mindset the ed-tech company ClassDojo is teaming up with Stanford’s Project for Education Research That Scales (PERTS) center to produce a series of five animated videos on growth mindset featuring the ClassDojo characters many students already know. PERTS executive director Dave Paunesku is excited by ClassDojo’s ability to reach so many teachers with this growth mindset message. But while the research is compelling, many teachers still struggle to weave growth mindset into their daily teaching practice. The teachers at Ellison’s school have read “Mindset,” by Carol Dweck, and have already been trying to incorporate growth mindset messages into their teaching. Ellison often uses her own experiences as a learner when she talks about growth mindset with students. Stephanie Palmeri and Andy McLoughlin of SoftTech VC “It’s been a pleasure working with Stephanie and Andy, and I am proud to now call them my Partners” said Jeff Clavier, Founder and Managing Partner of SoftTech VC. Stephanie Palmeri joined SoftTech VC in 2011 as Senior Associate after receiving her MBA from Columbia Business School. Andy McLoughlin joined SoftTech VC in 2015 as Venture Partner, after co-founding London-based Huddle in 2006. At SoftTech, McLoughlin sponsored and sourced a number of deals - including OnboardIQ and LaunchDarkly. SoftTech VC, a leading early stage venture capital firm investing in B2B/Saas, Marketplaces, Connected Devices and B2C startups, has promoted two of its senior investment staff to Partners. Here are some super smart tips from 15 of the young entrepreneurs who made this year's Inc 30 Under 30 list. Carve Your Own PathDon't let someone else's vision of success force you to stray from the path you worked to be on. And you are going to have to defeat them in real time, in order to be successful at what you're building. Find Solutions to the Right ProblemsI think one of the things we did that was important was that we worked really hard to identify the right problem before identifying the solution. Some of the best learning can come after mistakes are identified and ultimately lead to a better product/process in the end. "We have a tonne of really amazing European founders in our portfolio. Andy McLoughlin, an early stage investor at SoftTech venture capital firm in San Francisco, has revealed a hidden passion for European startup founders. "European founders are great," he told Business Insider at TechCrunch Disrupt in London. SoftTech only invests in founders that have based their businesses in Silicon Valley or New York so when McLoughlin encounters a European founder he's automatically drawn to them. As an angel investor, McLoughlin has also backed Eoghan McCabe (Intercom), Alex Saint (Secret Escapes), James Smith (Bugsnag), Timo Rein (Pipedrive), Alex Tew (Calm), and Joel Gascoigne (Buffer). Press Credentials: If you are a member of the press and interested in attending, media accreditation for SXSWedu 2016 is now open. "For a complete listing of announced programming and events for SXSWedu 2016, please visit http://sxswedu.com. "Ayah's work epitomizes the creative energy that is integral to SXSWedu," said Greg Rosenbaum, SXSWedu Producer. Join the passionate and innovative community at SXSWedu, March 7-10, 2016 in Austin, Texas. About SXSWeduThe SXSWedu Conference & Festival fosters innovation in learning by hosting a diverse and energetic community of stakeholders across a variety of backgrounds in education. Half of all middle school students and 61% of high school students have access to tablets. Classkick, an edtech startup out of Chicago, has raised $1.7 million to help teachers narrow the achievement gap with its student learning app. With Classkick, students can get at home more of the individual attention they’re lacking from their teachers during the school day. While their students work through problems on iPads, teachers can monitor the progress of the entire class simultaneously using Classkick’s teacher dashboard. Kapor has backed a number of edtech startups working to level the playing field for children from low-income families, who now make up the majority of U.S. public school students. “There’s an emotional piece to this that some people don’t understand,” says Walden, the education tech investor. Now the education tech landscape is shifting toward mobile devices and new, free and easy-to-use services.”That at least partially explains why education startups have become extremely hot investments. And so far 112 companies have signed the student data privacy pledge, a voluntary promise to safeguard the information they collect. And parents, teachers, and administrators, barraged by new apps and services, are left scrambling to figure out which ones to use and what the implications are for their kids. In September, California passed the Student Online Personal Information Protection Act, which forbids companies from selling student data or using it for any non-educational purposes. Today tech founders basically expect their employees to at least try and live a healthy life. According to WikipediaThe Quantified Self is a movement to incorporate technology into data acquisition on aspects of a person’s daily life in terms of inputs (e.g. In my first column for EducationInvestor I wrote about the beginning data backlash we see in education. Right now most parts of society are not yet ready to embrace this trend that is probably best described as “quantified self”. Some experts already expect this new generation of parents turning from so called helicopter parents to drone parents. After years of meager investment, early-stage education technology has seen a boom time in the past three years. I think teachers are the answer, and we’re here to make them more efficient,” said Remind101 CEO Brett Kopf. The lesson plan and homework sharing site Edmodo has 32 million users. And ed tech companies have to make something that works for all of them. “I don’t think technology is the answer. For teachers who see digital devices as synonymous with distraction, Amplify’s hope is that greater control over student content will encourage adoption. The company said it worked at the manufacturer level to optimize the tablet for use in schools. While many support his education reform initiatives and efforts to evaluate teachers with student performance data, teacher unions remain critical. AdvertisementEnabling real-time student feedbackAdvertisementThe new tablet also builds student feedback into each lesson. In ed tech, there are plenty of startups providing those and other digital learning and instructional tools, but with its new tablet debuted this week, News Corp.’s (s NWS) Amplify aims to roll them all up into one device. AdvertisementThrough the ClassDojo platform, teachers can give students real-time feedback using any mobile device or computer combined with a smartboard or display screen. A month after raising a substantial seed round from a group of top investors, San Francisco-based ClassDojo is rolling out its first native mobile app to help teachers control their classrooms and manage student behavior in real-time. AdvertisementChaudary said the new mobile app comes in response to teacher requests for a more responsive platform that allows them to easily provide feedback from their mobile phones while walking around their classrooms. Since launching last year, more than 3.5 million K-12 teachers and students in 30 countries have used a web-based version of ClassDojo on laptops and mobile devices. Beyond keeping students on track during class, the app uses the data to help teachers, administrators and parents monitor progress and follow trends. So, Chaudhary and Don launched ClassDojo in August 2011 to help teachers win back control of crazy classrooms. To this point, the prevailing criticism of ClassDojo is not the interface or the avatars, it’s the reward system itself. Teachers themselves are the purveyors of grades and assessments — a reward system we spend a good chunk of our lives around. ClassDojo tracks behavioral data over the course of days (and semesters), allowing teachers to share results with parents. The rantings of a cynical blogger aside, whether or not you see ClassDojo as a tech version of “names on the board” or the gold star system, ClassDojo is an important experiment for education. All the data is automatically assembled into reports that help teachers monitor progress and follow trends, as well as share information with parents and administrators. AdvertisementThe founders said they developed the tool after speaking with hundreds of teachers who identified behavior management as their biggest problem. Teachers spend a significant amount of their time managing student behavior but, for the most part, they’ve had few tools to help them out. In fact, the startup said, 40 percent of U.S. teachers report spending more than 50 percent of their time managing student behavior. Test scores and academic performance get a lot of talk in education – and rightly so – but classroom learning isn’t just about ingesting information and mastering skills, it’s about developing habits of mind and building character. So, today, a year removed from its seed round, Education Elements is announcing that it has closed a $6 million Series A round of financing. For more on Education Elements, check them out at home here. Education Elements plans to expand from the 40 schools it was working with last year, including institutions like KIPP LA, Mission Dolores Academy, IDEA Public Schools, Alliance College-Ready Public Schools, and Aspire Public Schools, to 100 schools this fall, and hundreds by 2014. Founded in 2010, Education Elements is one of many startups helping schools, school networks, and districts adopt blended learning by offering a suite of design services and a SaaS-based learning management system to enable schools to personalize student education and focus on small-group instruction. There are few people who doubt the ability of technology to help improve education, whether that be at the primary or secondary level.